PRINT UnLtd, at Salford Museum and Art Gallery, is an exhibition of new works by four Manchester and Salford based artists, celebrating, challenging and questioning contemporary printmaking. 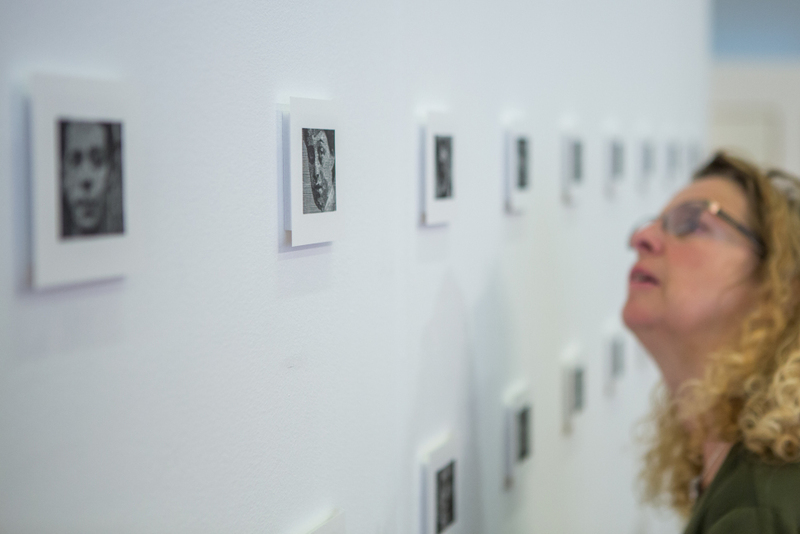 My work, Salford Faces, reflects my ongoing interest in anonymous faces, lost voices and unsung lives. It draws inspiration from photographs, held at the Salford Local History Library, of people who may not have known they were ‘having their picture taken’, and may never have seen the resulting images. Using slow, intensive, hand-drawing techniques I created a series of twenty small relief etchings. Three of these were blown up to create monumentally large, multi-layered digital CMYK prints. 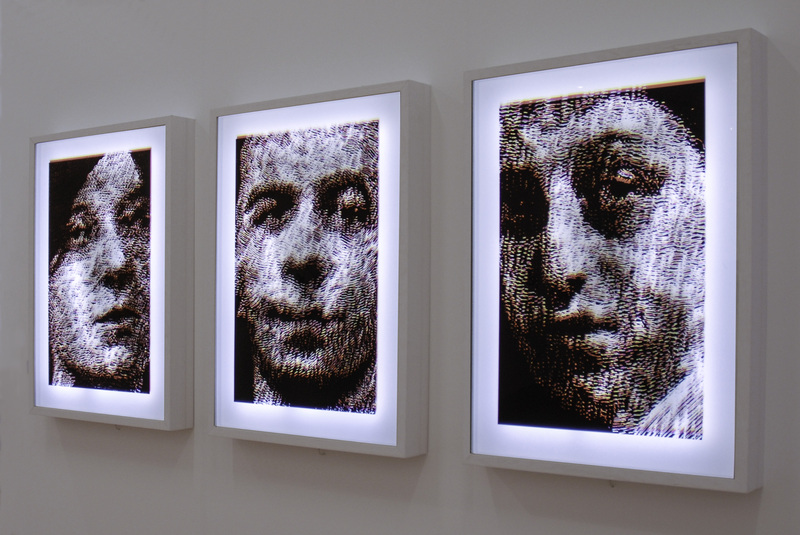 These are presented as lightboxes adding a 3-D quality to an essentially intimate hand-drawn image. This new collection of my work marries two very different printing processes, juxtaposing old and new, fast and slow, small and large. In the 19th century, etching was a cutting edge process that was used commercially to create affordable reproductions of paintings. It is now almost purely an artist’s medium. In the 21st century, large-scale digital printing is primarily used for commercial display. By layering these images and techniques, I aim to reflect some of the complexity of human character. All works in the exhibition are for sale – the twenty etchings as boxed sets and the three lightboxes individually or as a triptych. 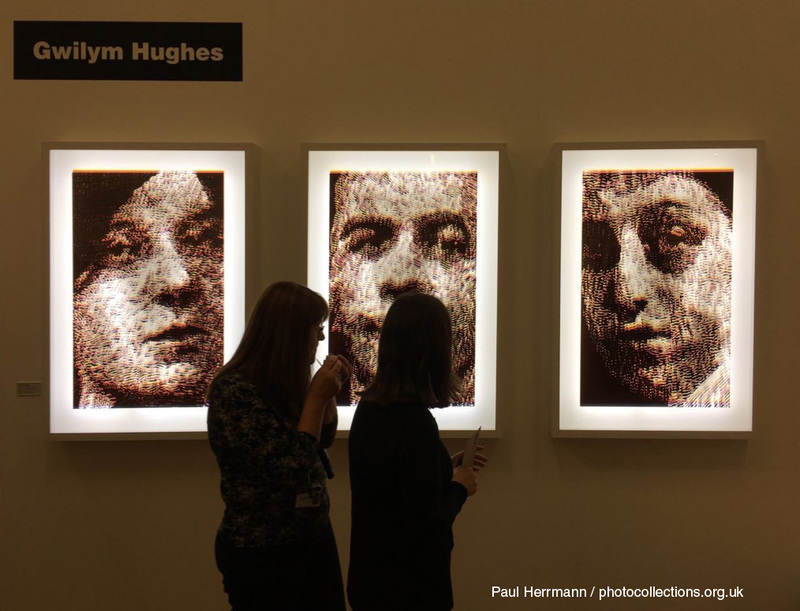 One lightbox will be added to the University of Salford’s permanent art collection.